Home The Economy Oil Venezuela is becoming a crude importer. Discuss. Venezuela is becoming a crude importer. Discuss. The story makes for interesting headlines, but as we evolve from a light-crude producer to a heavy-crude producer, wasn’t this bound to happen at some point? 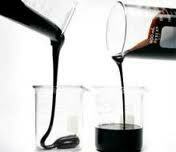 Venezuela needs the light crude to mix it with its heavy crude in order to extract the latter, which is kind of like tar in its consistency and, hence, difficult to pump. Previously, the country was using processed products (such as a variant of gasoline), but given the ongoing crisis in our refineries, we were having to import these at massive prices. Why, then, don’t we use our own light crude for this? I guess that is the real question here. Is it incompetence? Is it simply that light crude wells are running out? And whatever happened to the Tomoporo field in Zulia, the largest find of light crude in western Venezuela in decades? Finally, why can’t we come up with more clever ways to exploit our heavy-oil resources? One has to wonder why Venezuela has not built more refining capacity inside the country. Venezuela famously ships its crude to places such as Mary Landrieu’s backyard and El Pollo Carvajal’s happy island, but why aren’t we refining more of our crude here at home? Some people say the refining business has small margins and, hence, is not a good use of money. I say – refining generates knowledge, and only knowledge will get us out of this mess. Venezuela needs a comprehensive downstream oil policy, one that includes private actors and allows them to open up their own refineries. Instead of importing products, we need to export more of them, no matter the margin. That is where the know-how is. Psychologically, these news could not come at a worst time for Maduro. As the country reels from a general feeling that things are not going well, we get the news that we are now importing oil. Never mind that we have the largest reserves in the world. Never mind that we still export a lot of oil. Leave all the technical mumbo-jumbo aside. We. Are. Importing. Oil… Tell that to a doñita standing in line for four hours waiting to get milk. Tell that to a professional who can’t find the medicine he needs. There’s simply no way of spinning this favorably. The idea that we are now both members and customers of OPEC is simply too much for the average Venezuelan to swallow. It provides a nifty soud-bite for the opposition, one that pretty much everyone understands. As we digest these news, we have to wonder if this is rock bottom. ‘Cause if it isn’t, it sure feels like it.